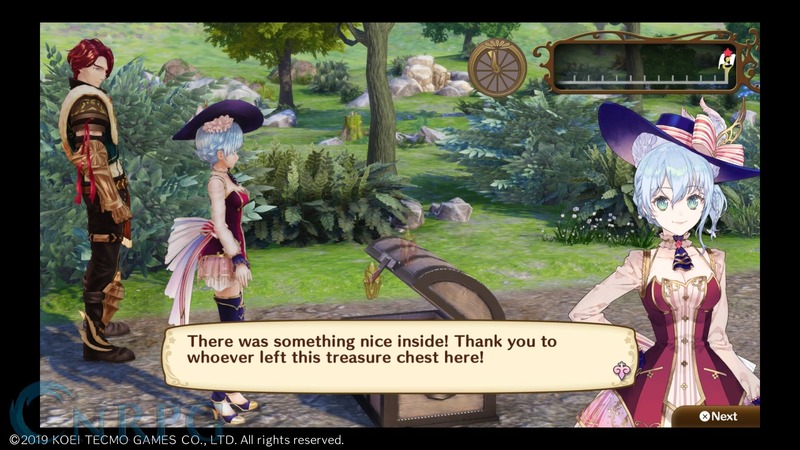 Although I’ve had limited access to the Atelier series over the years, I’ve always found them charming. 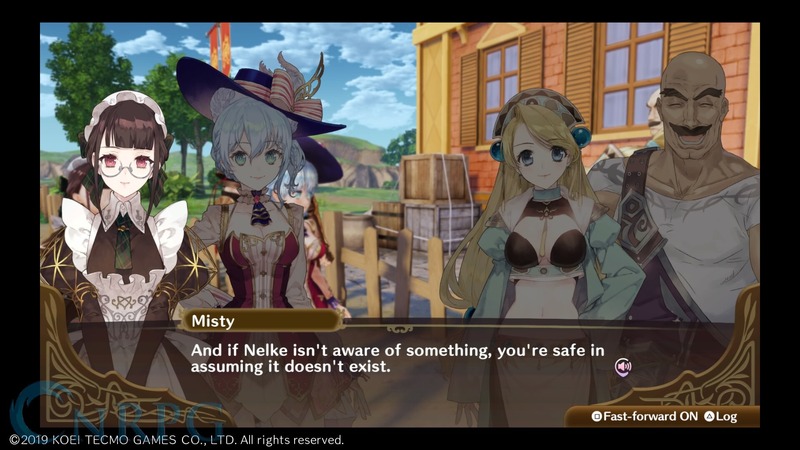 The art style is cute and warm, the characters tend to be upbeat in the face of adversity, and the story tends to be lighter and whimsical. 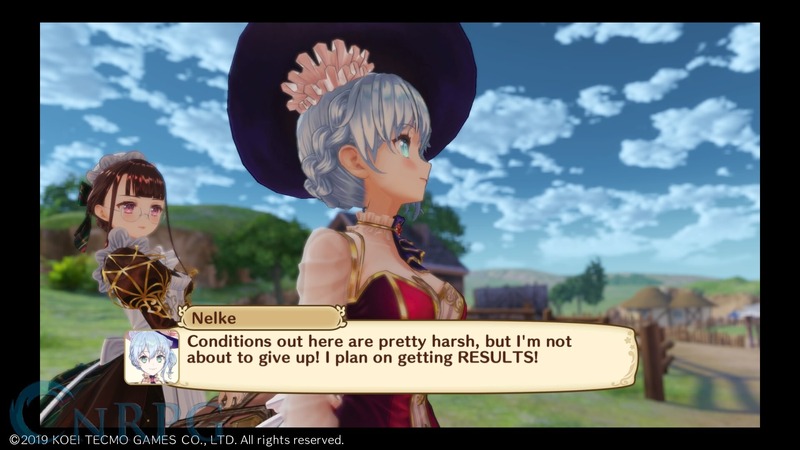 Nelke and the Legendary Alchemists isn’t a fully-fledged Atelier game, however. 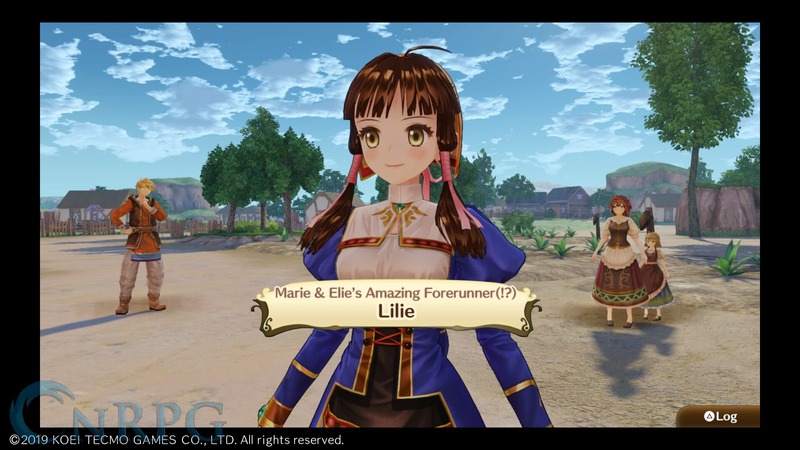 This spin-off instead focuses on completely different aspects, all whilst bringing together characters from the last 20 years of the series into a single title. 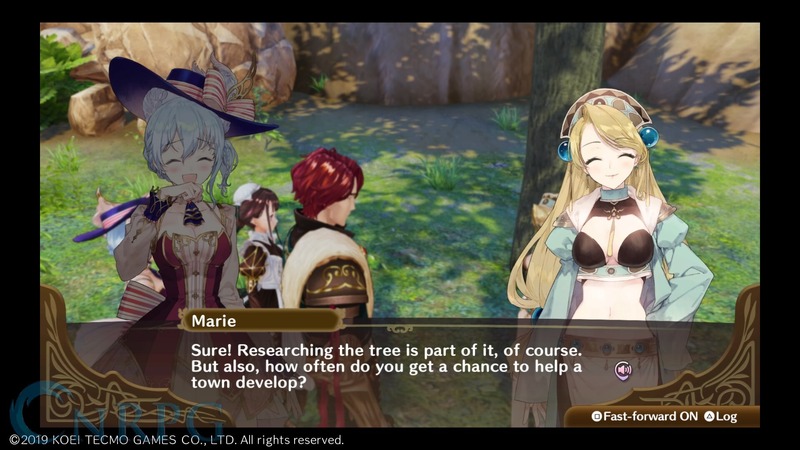 How does this side story stack up against the main games in the series though? 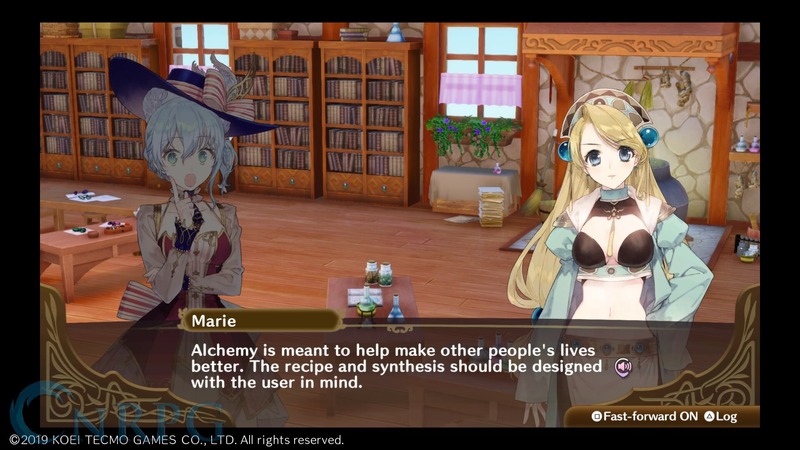 The first major difference in this side story is the fact the main character is not an alchemist like every previous game. 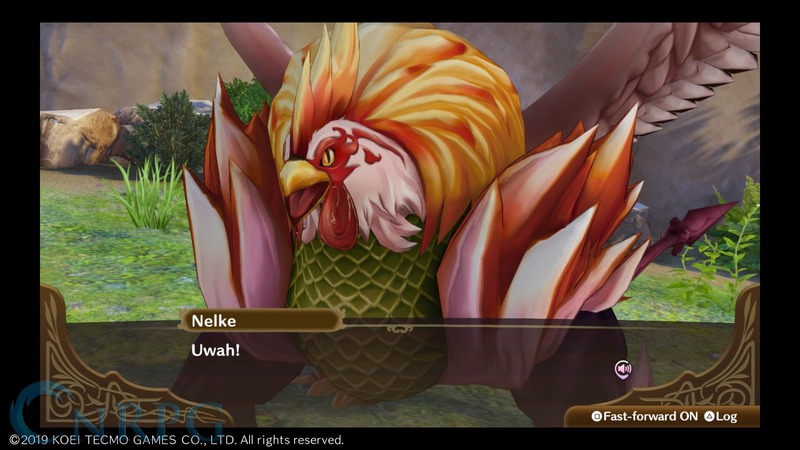 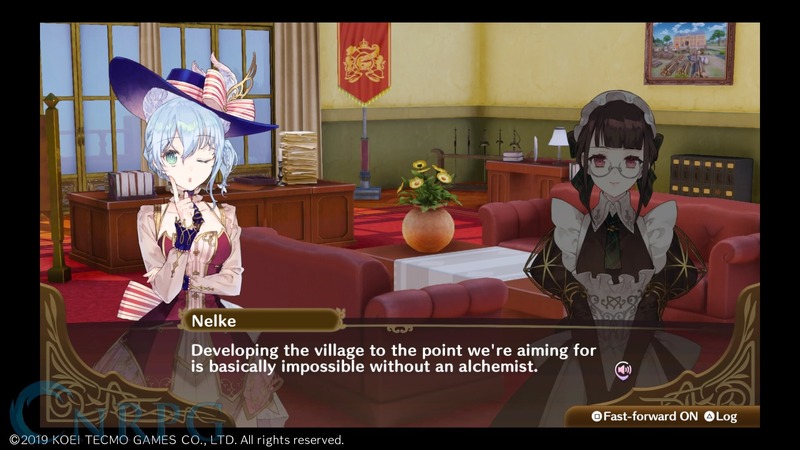 In fact, the game makes it a point to state alchemy was the one thing Nelke had no aptitude for during her schooling. 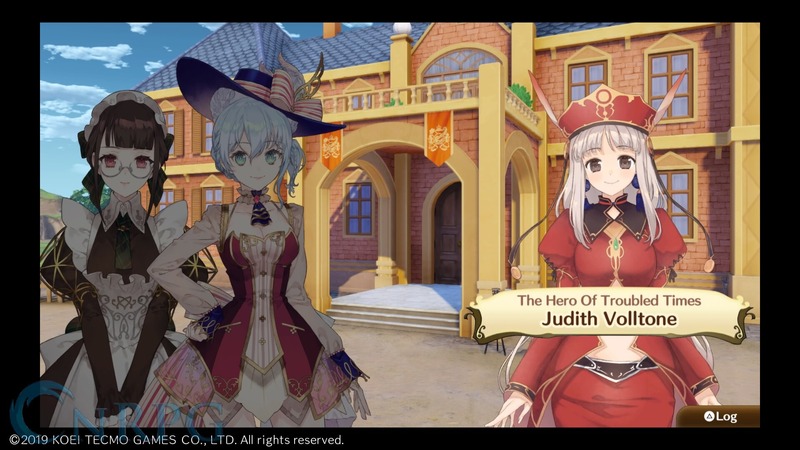 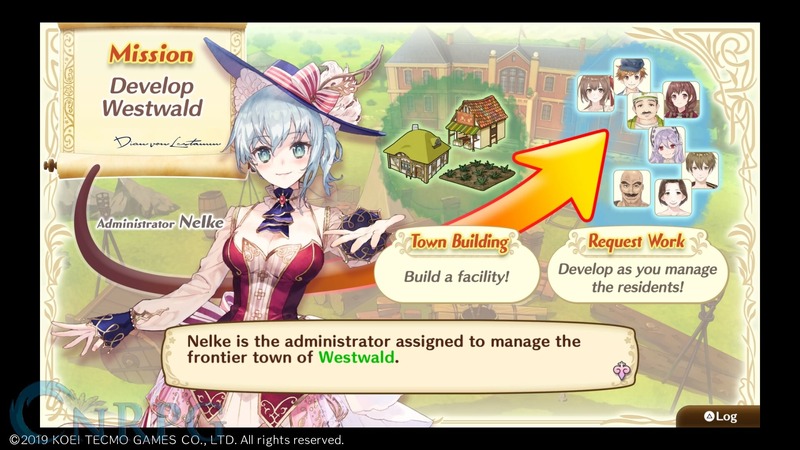 As the daughter of the lord of the land, she sets off with her personal maid, Misty, to develop the quaint town of Westwald into a sprawling metropolitan area. 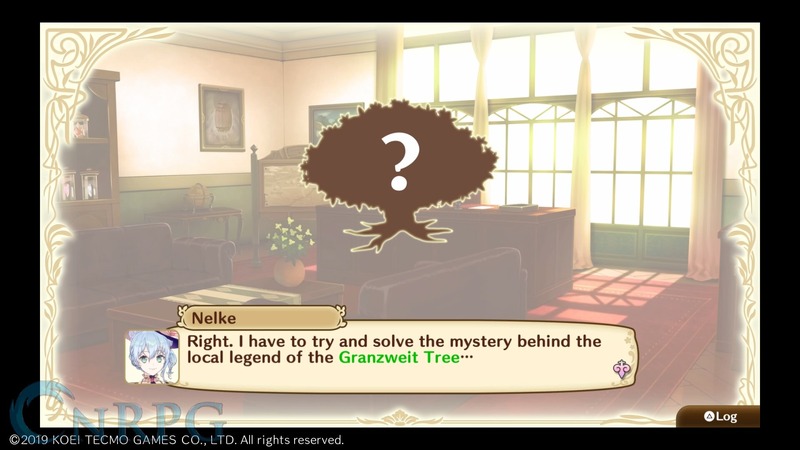 Of course, Nelke’s heard rumors of the fabled Granzweit Tree, one of the Sage’s Relics, also being in the area, and wants nothing more than to be the one to discover it. 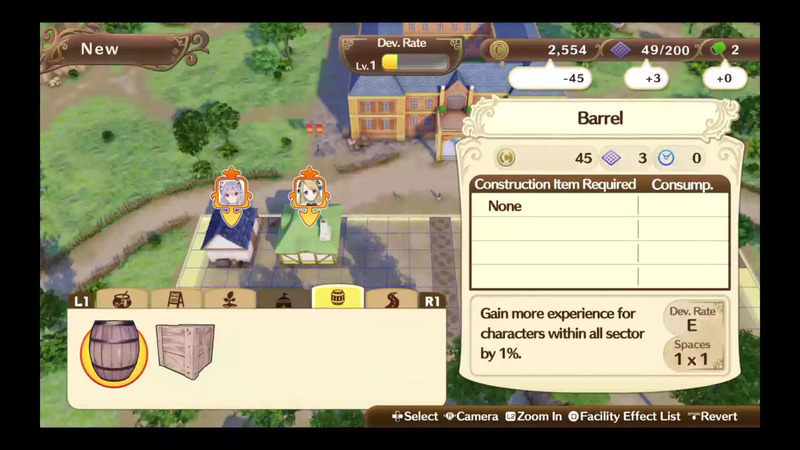 Of course, Westwald has little in the ways of amenities, because this game is a town building simulator. 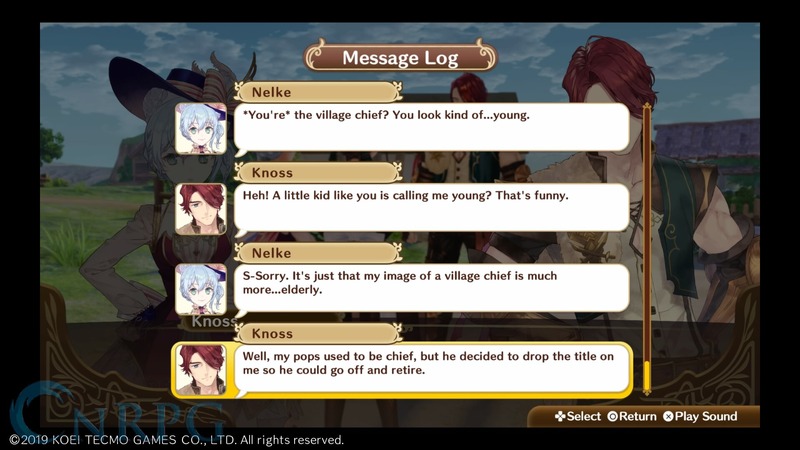 You meet with the village chief Knoss, and series staples Hagel and Pamela, and begin a tutorial on building the city up with a grocery store first and foremost. 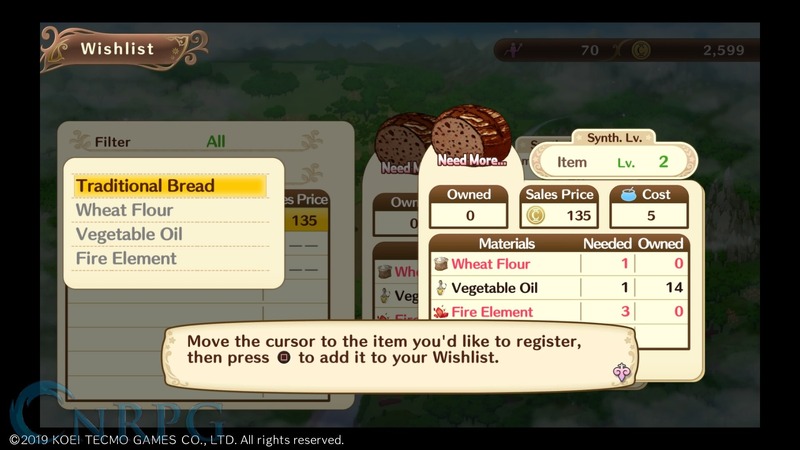 This leads me to one complaint I have about the game: you can only sell one item in any store at any given time. 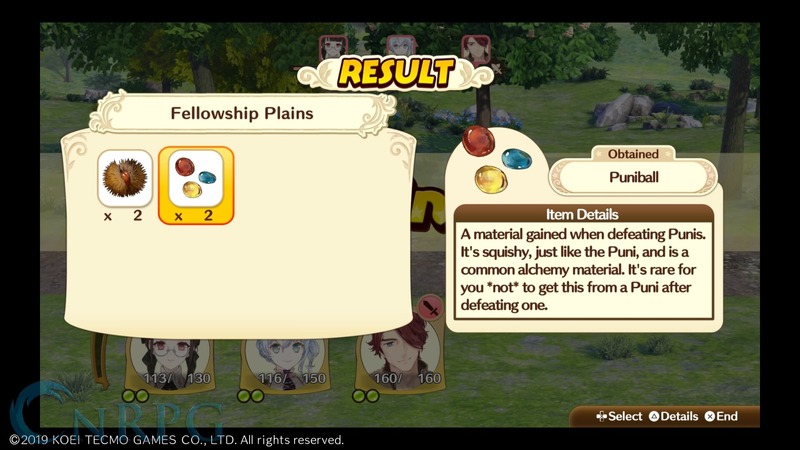 This is further exacerbated by the fact your alchemists can produce as many items in the ateliers you’ll be building for them as their capacity allows. 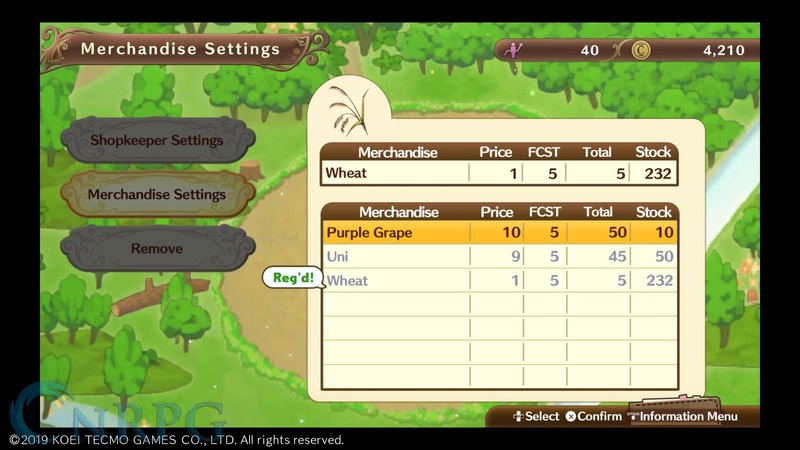 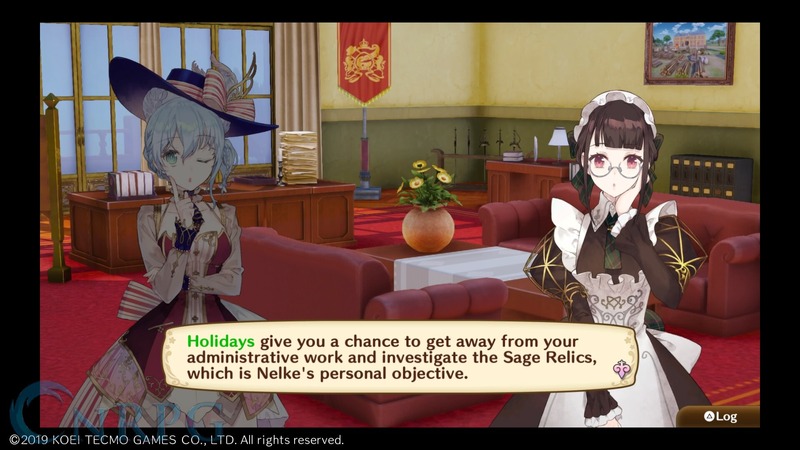 The tutorial of the game also covers holidays. 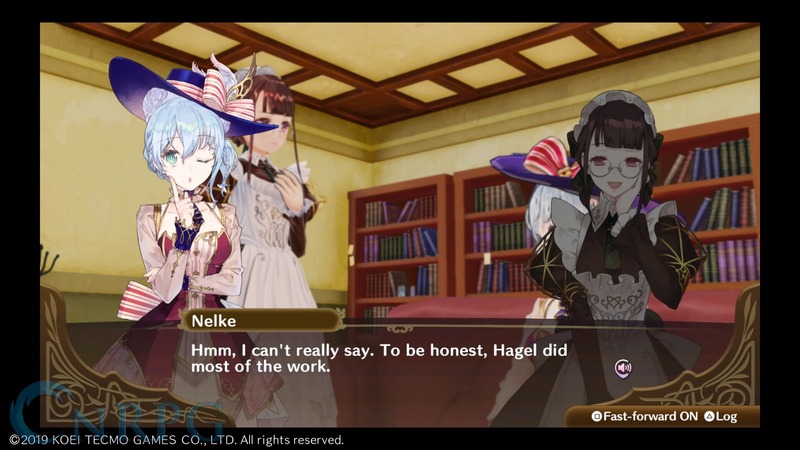 Holidays give Nelke time to chat with the myriad of folk that end up coming to Westwald (under mysterious circumstances, no less! 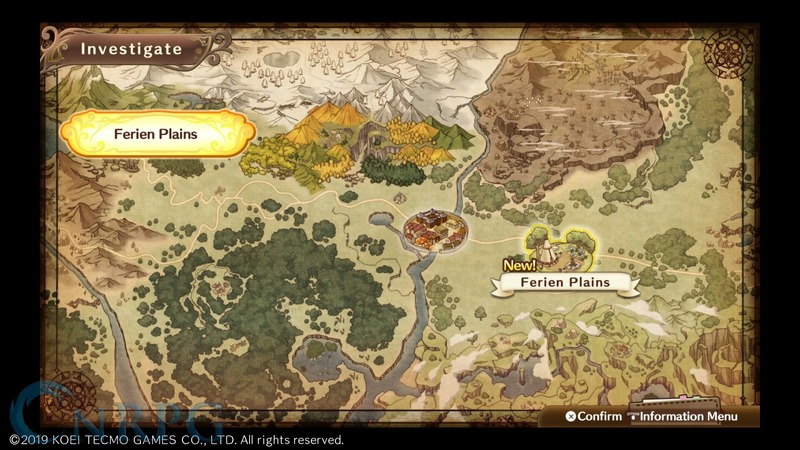 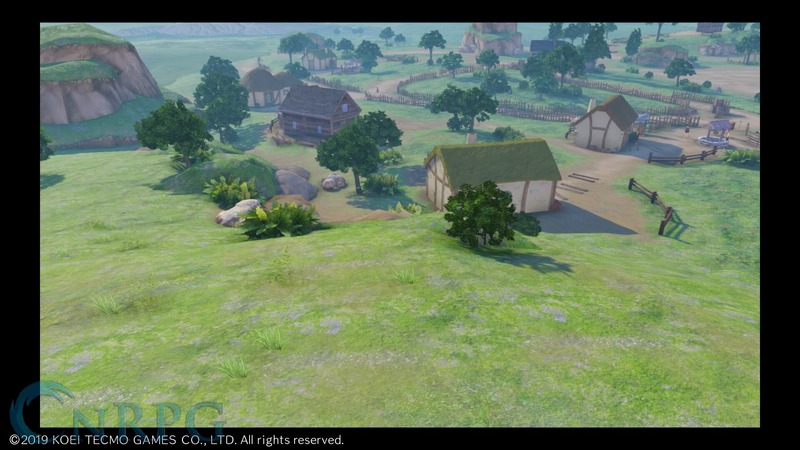 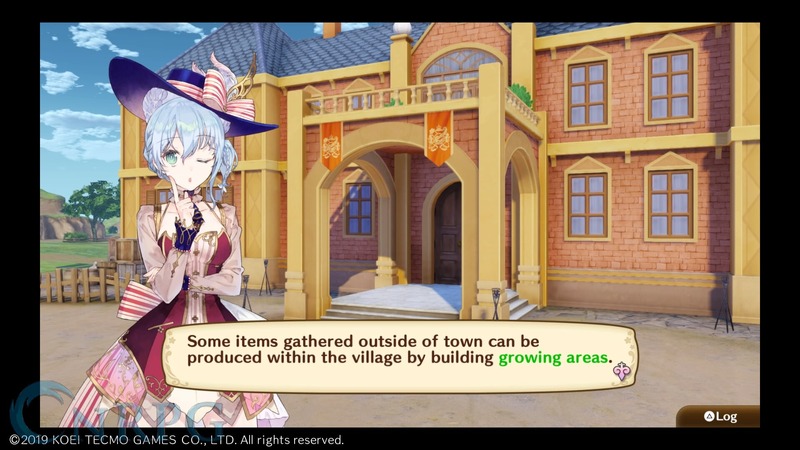 ), research new town developments with the help of the alchemists, and investigate the area surrounding the town to gather ingredients your alchemists can use. 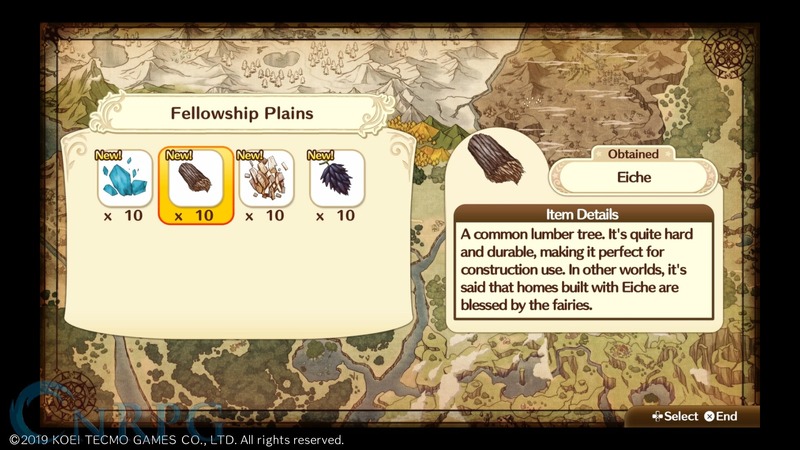 You’re given 12 time blocks to use during these days off, but each visit with characters takes up two blocks. 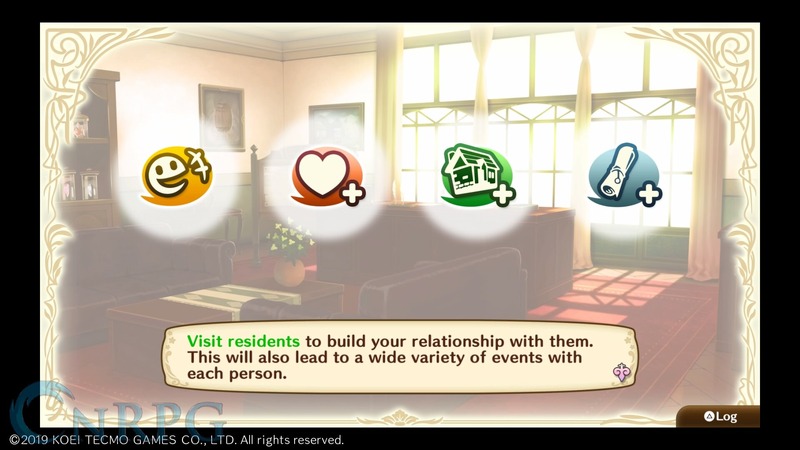 There are four different types of visits available: social, friendship, facility, and request. 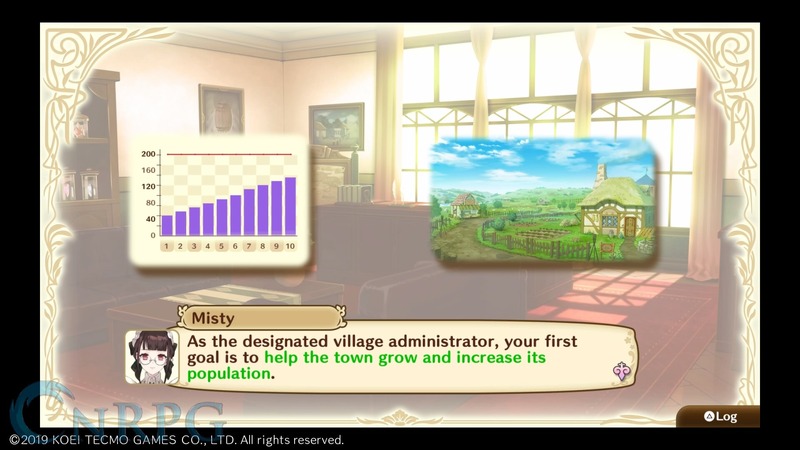 As you perform social interactions with your townsfolk, your friendship with them grows, and you’ll get special friendship events along the way. 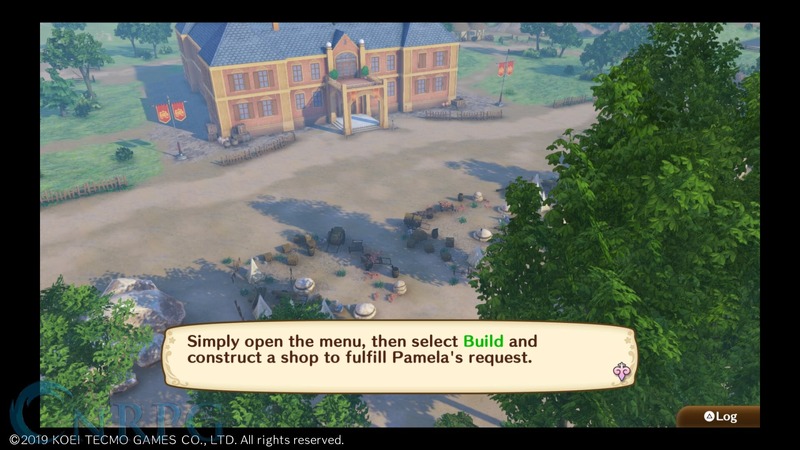 They will even teach you how to build certain landmarks to build in the city to improve all aspects of the town. 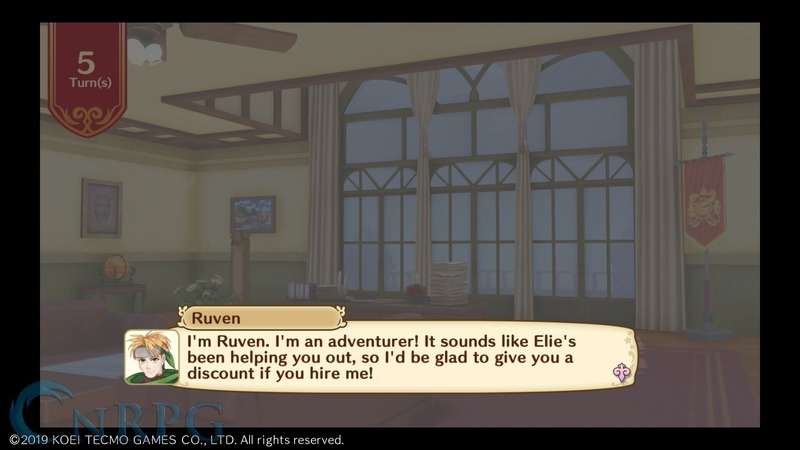 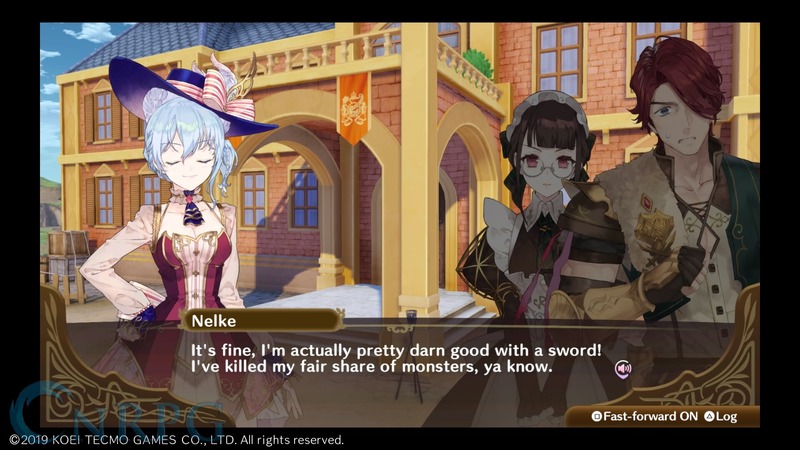 Requests can vary from combat to gathering to selling items, and are a great source of income for your city, plus completing them raises that character’s friendship levels with Nelke. 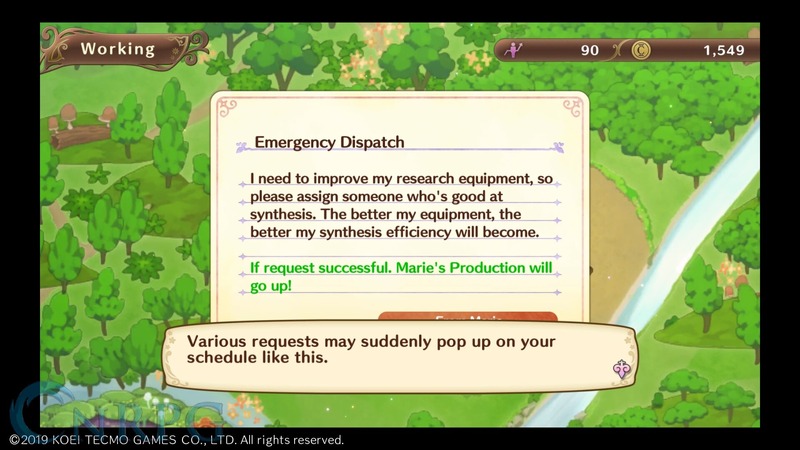 Research is pretty straight forward too. 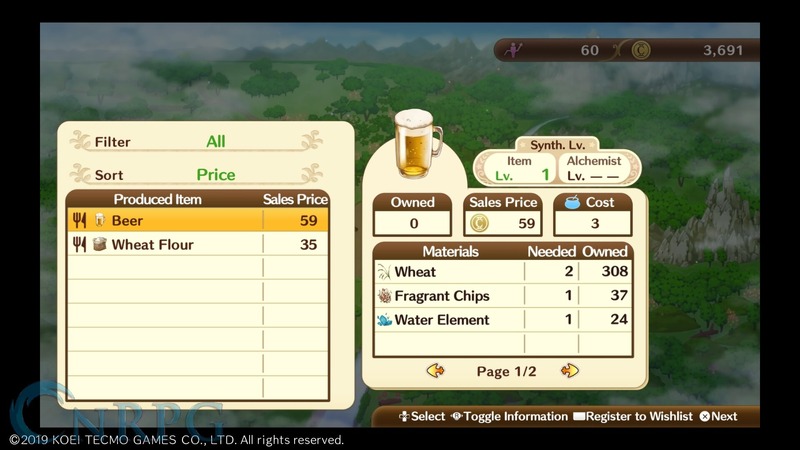 You pay an alchemist (or two) money and ingredients, and they, in turn, provide additional benefits to your village, be it materials, buildings, or more. 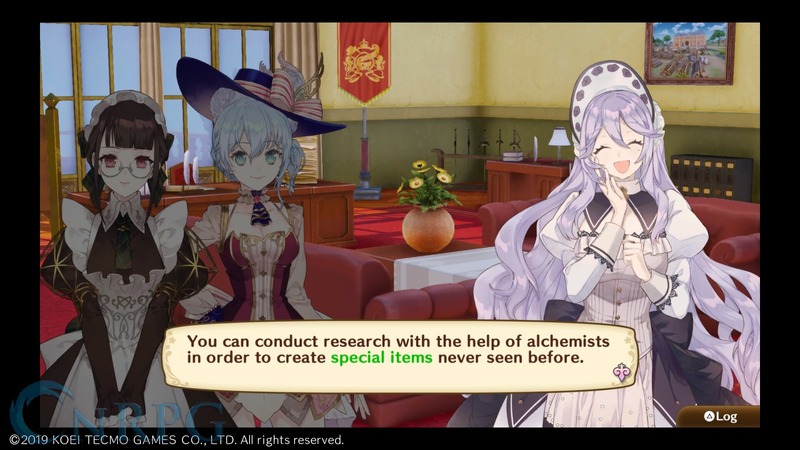 These research projects do take time, but starting them doesn’t count against your holiday time blocks, so feel free to get as many going as you have time, resources, and alchemists for. 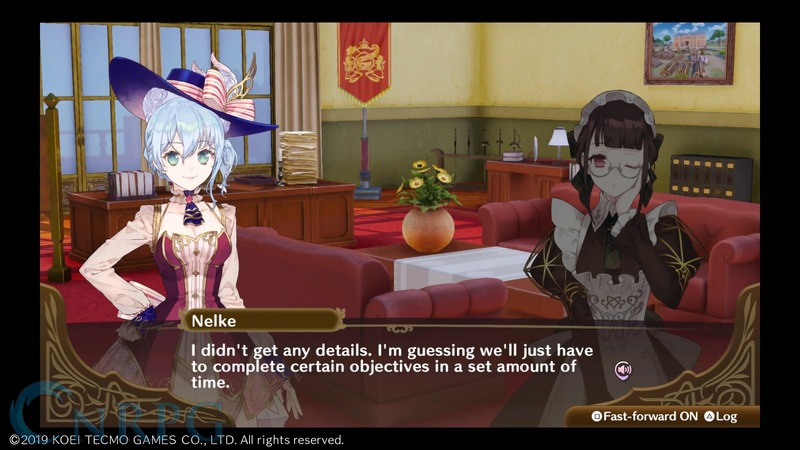 Each project does require specific characters to complete, though, and some of them you won’t be obtaining until much later in the game. 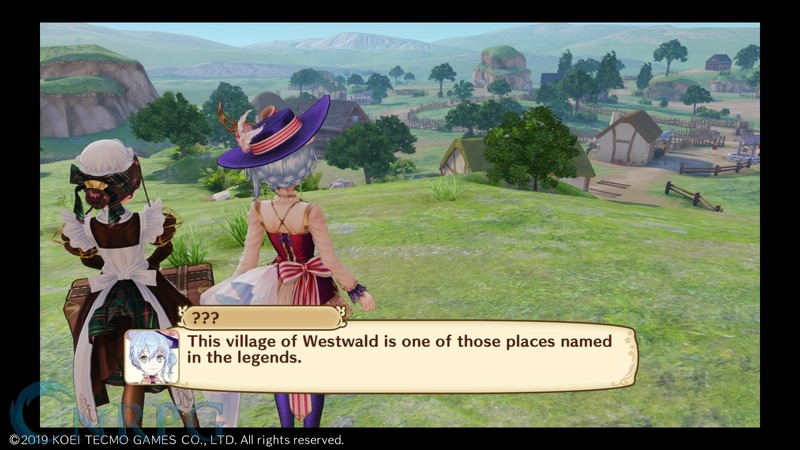 Investigation takes you out into the wilds of Westwald, and gives you a chance to gather items for your city. 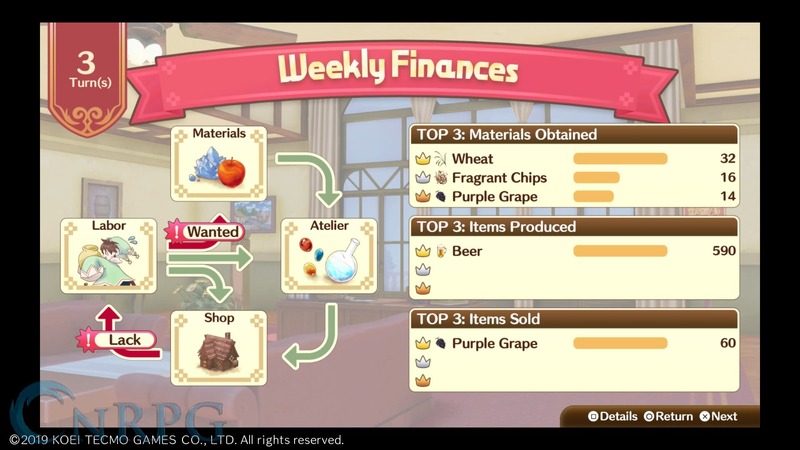 Each investigation map is broken up into several subsections that you need to pay money to unlock. 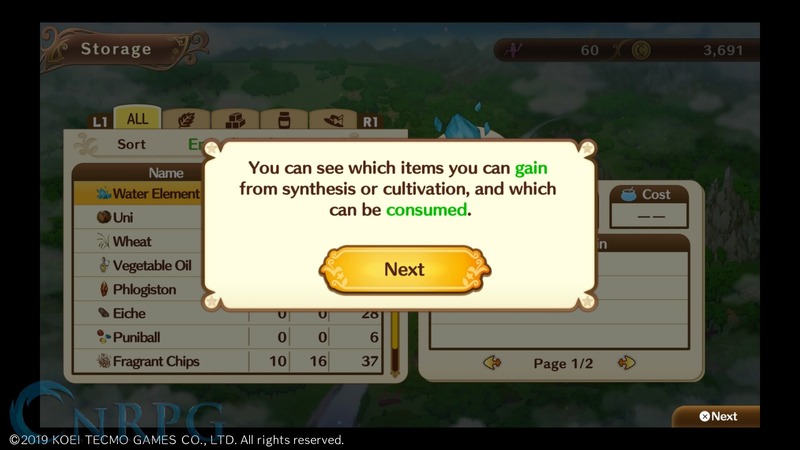 You can also invest additional funds to provide a myriad of buffs such as increased strength and defense, faster movement speed, and greater experience. 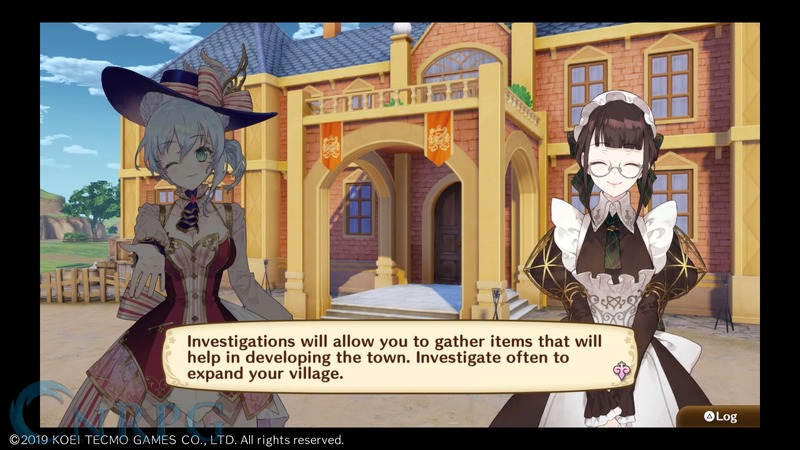 This is another one of the game’s unfortunate shortcomings, however, as there is very little you can do during these investigations. 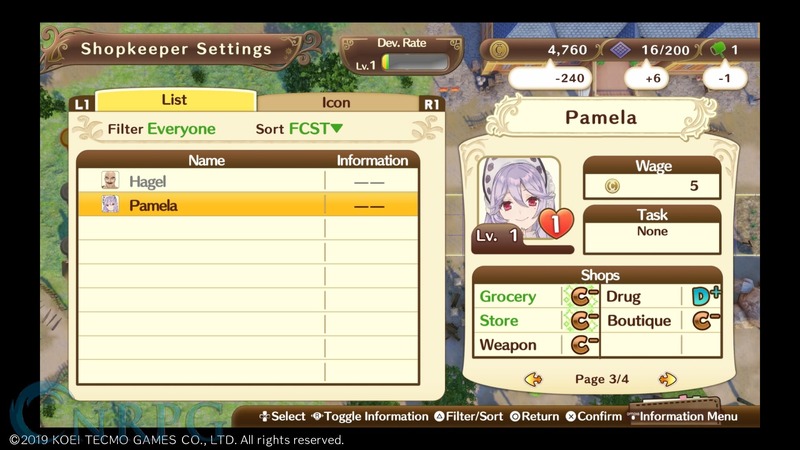 Characters move from one side of the screen to the other, occasionally finding items automatically. 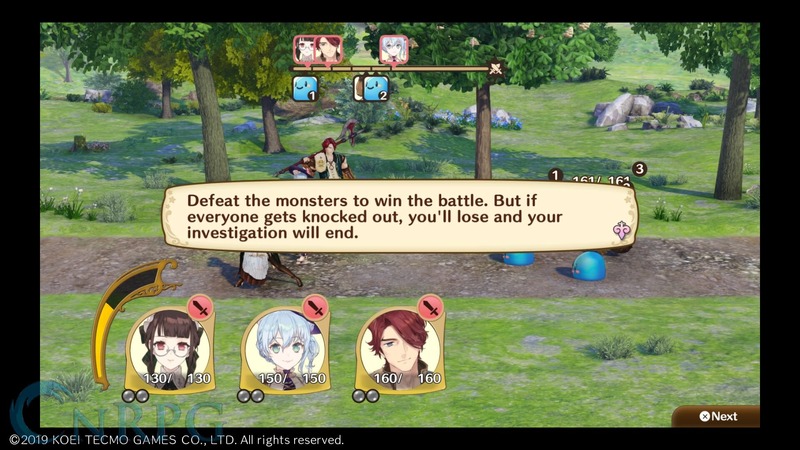 Sometimes you’ll have a random battle. 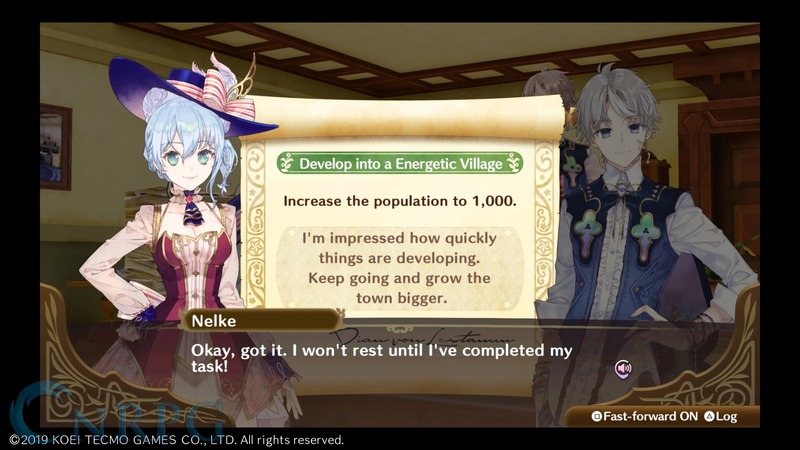 When you reach the end of the screen, or if you run out of time blocks, your investigation is done and you return to town to build the city for the next turn. 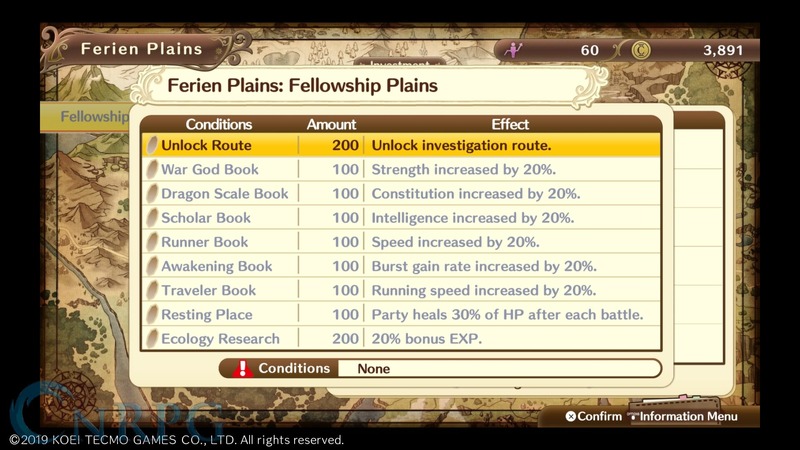 You can run during these investigations, but you’ll only encounter enemies when you do — you can not gather while running. 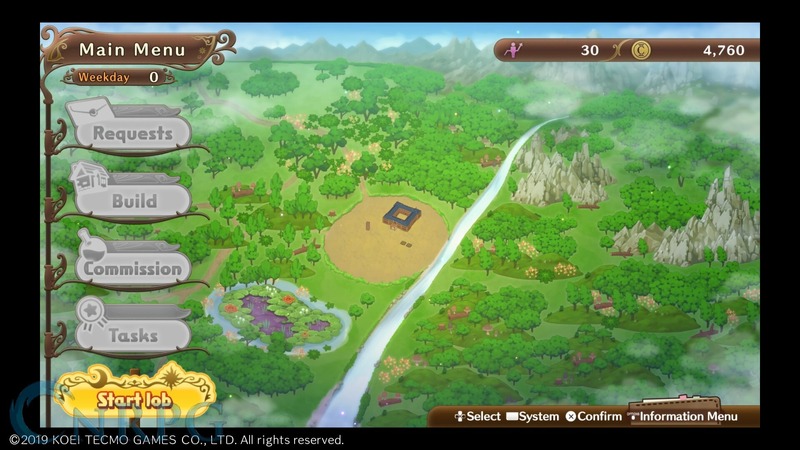 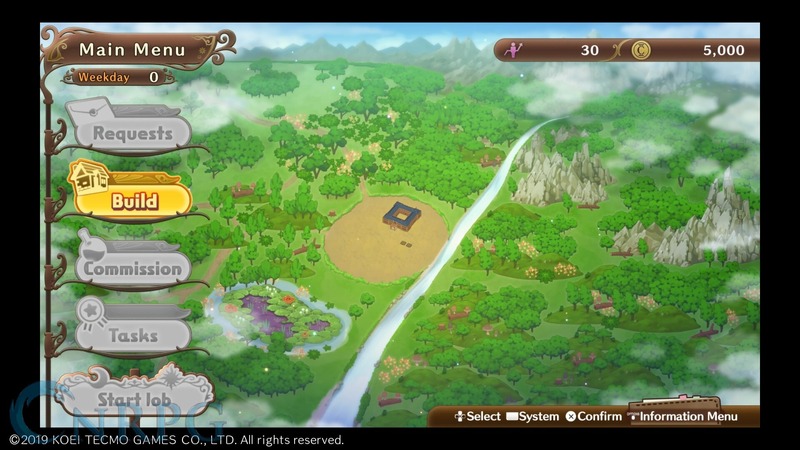 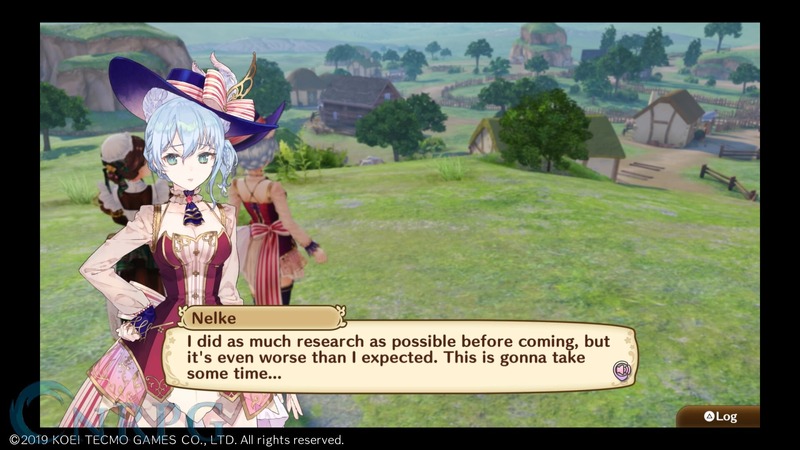 Combat is also different from previous Atelier games. 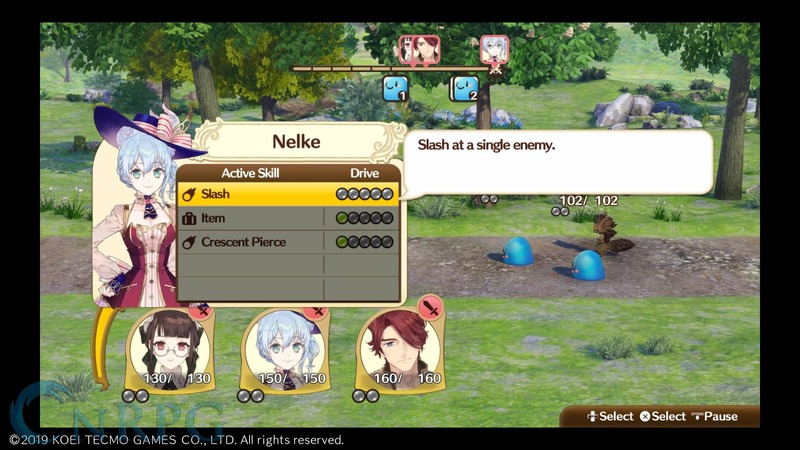 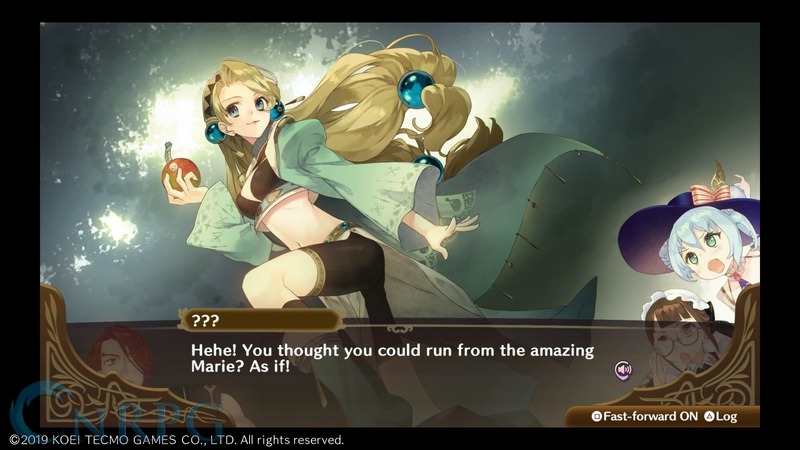 While still turn based, and while still using the sliding turn option from previous games, you can only control four characters total: Nelke, Misty, Knoss, and Lotos. 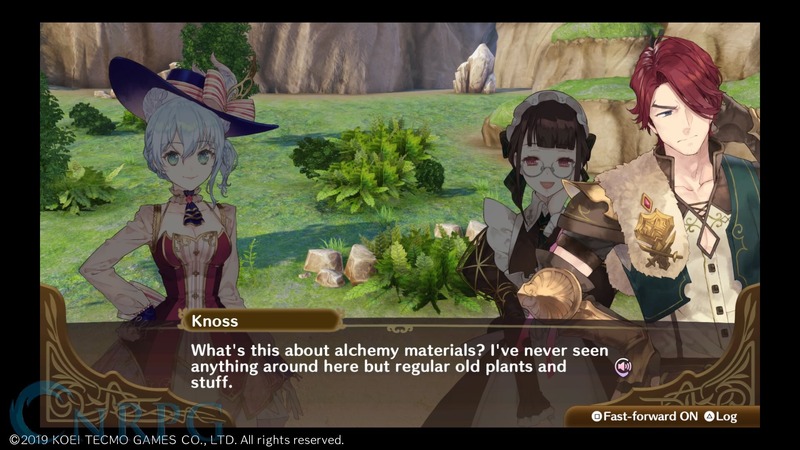 You can have up to five party members, however, and most of the alchemists you recruit can be taken along. 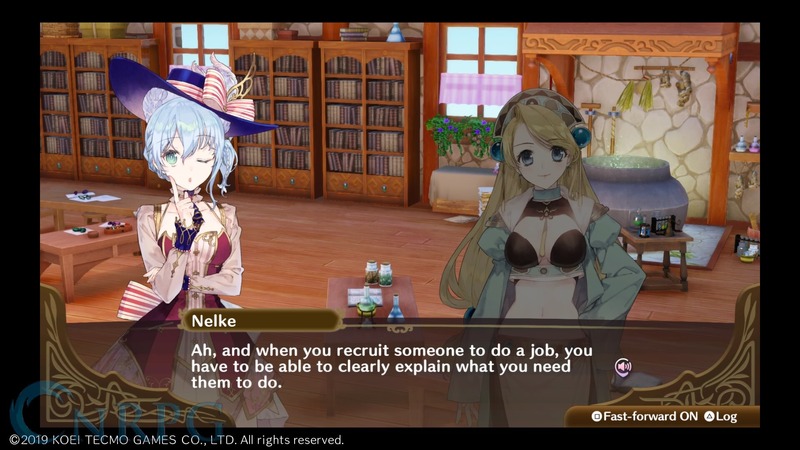 They function in a support role, however, and you can only select some of the actions they can take. 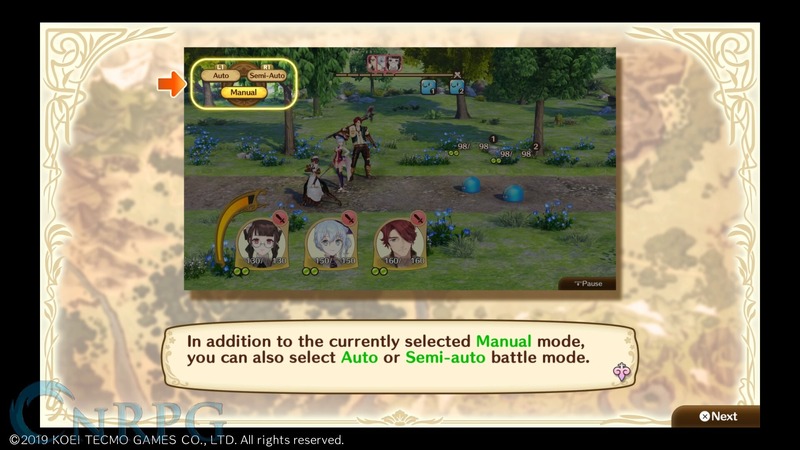 As turns progress in battle, you’ll gain access to abilities you can use that cost drive (basically accumulated turns) that tend to be much more powerful than a basic attack. 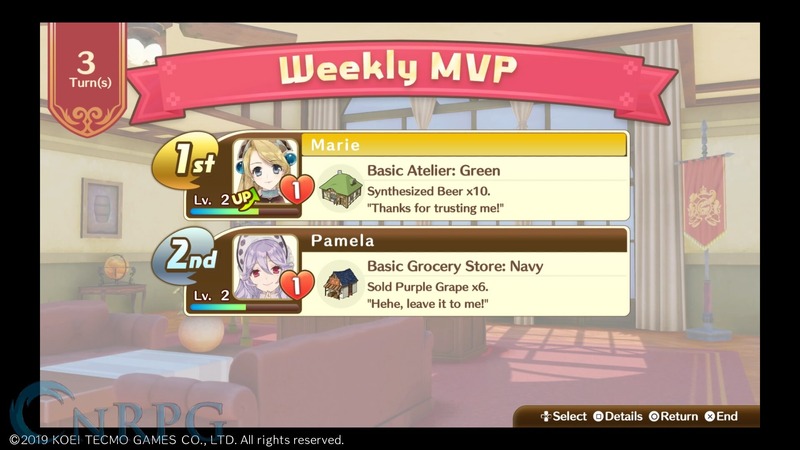 The problem I had, though, was that battles rarely lasted long enough to take advantage of this system. 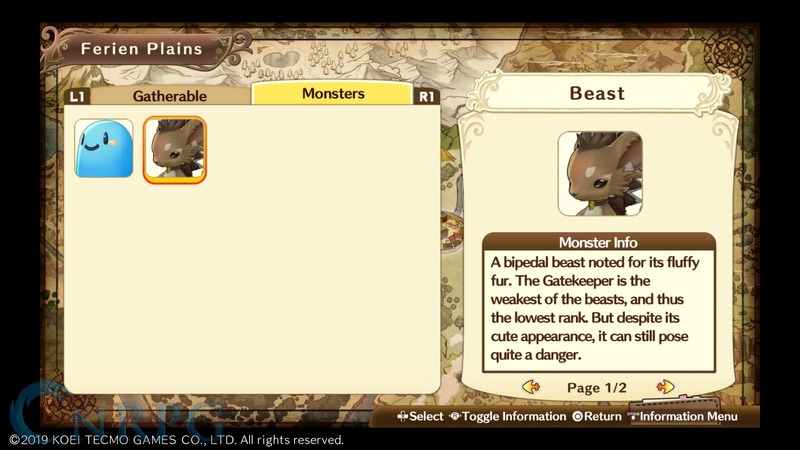 You do get to keep drive between battles, thankfully, and it makes repeated encounters that much easier. 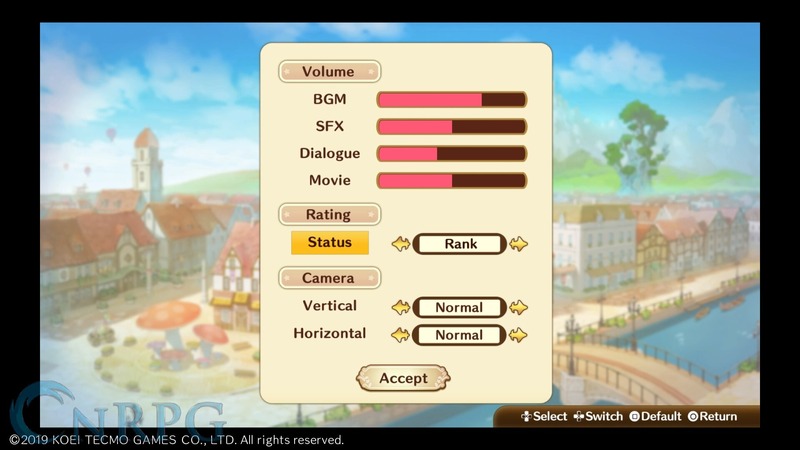 Burst mode, once full, will also increase the attributes of all your party, and provide them additional drive to use. 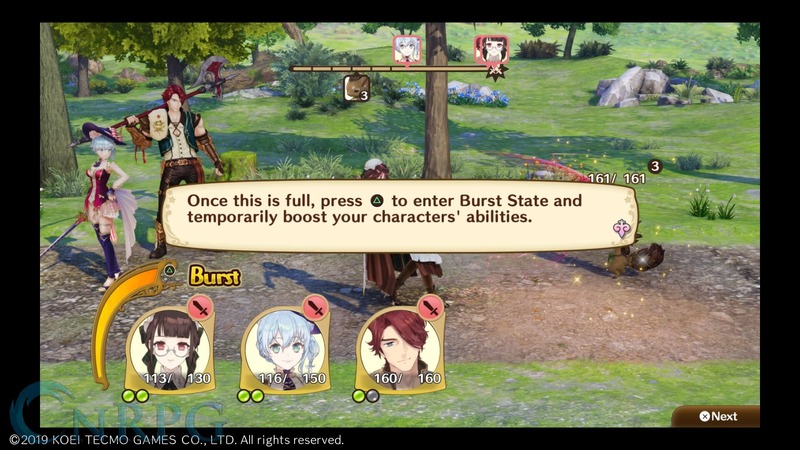 Strategic use of burst can turn the tides of battle in your favor (but again, I never really had a use for it other than to get battles done faster). 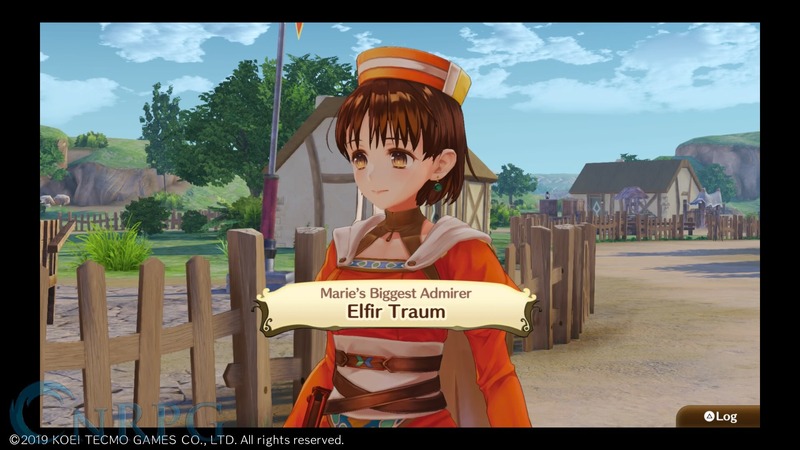 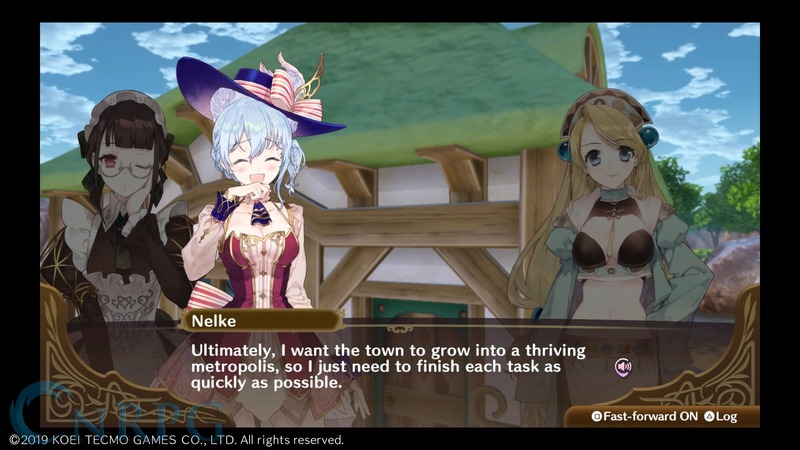 As the game progresses, Nelke is given specific tasks she needs to complete, or she’ll be sent back home and lose the governance of the town. 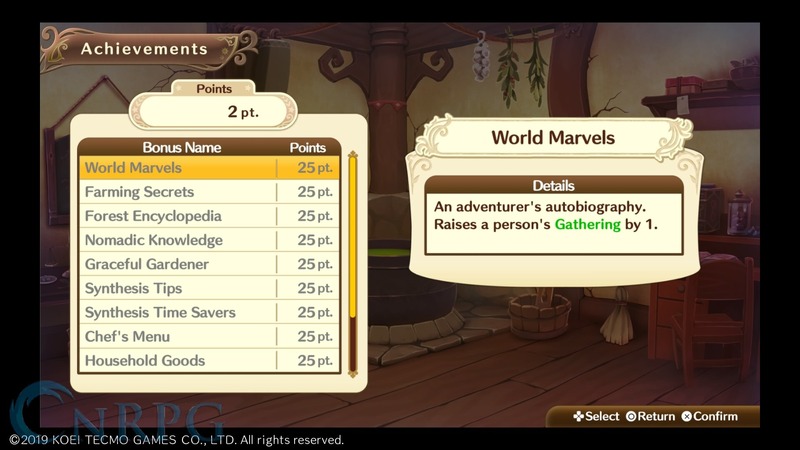 Think of these as a main storyline, if you will. 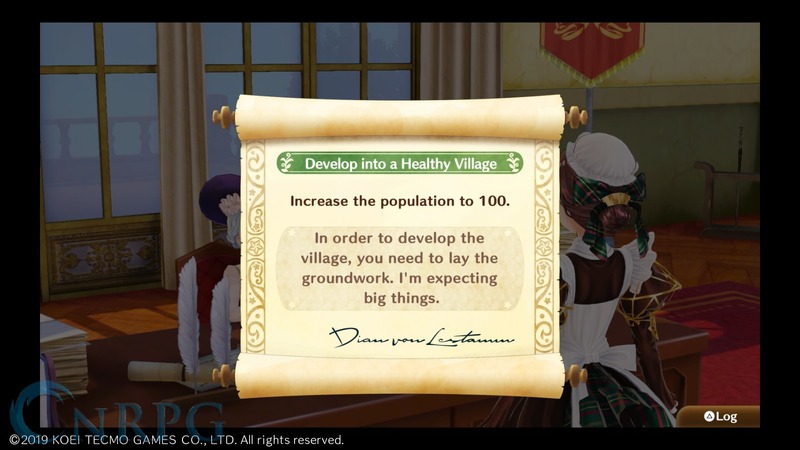 The first couple are easy enough to achieve, but the third can be quite difficult to achieve if you’re not constantly building and growing. 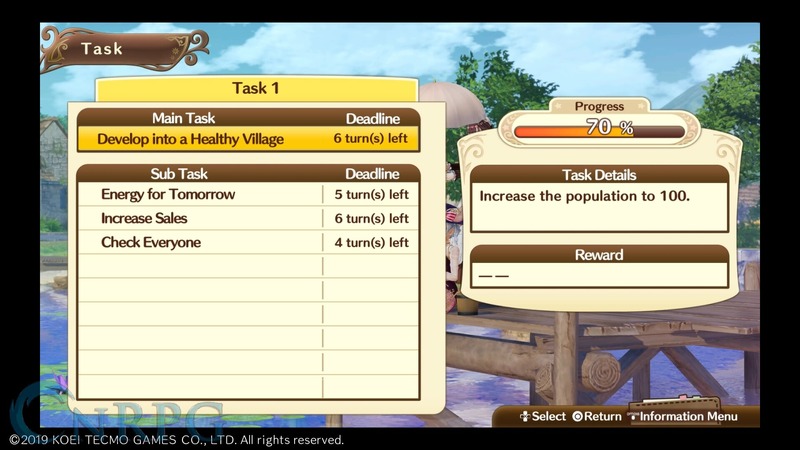 In addition to these main tasks, you’ll have several additional subtasks you can complete that will increase your population, which is always beneficial to completing the main tasks given. 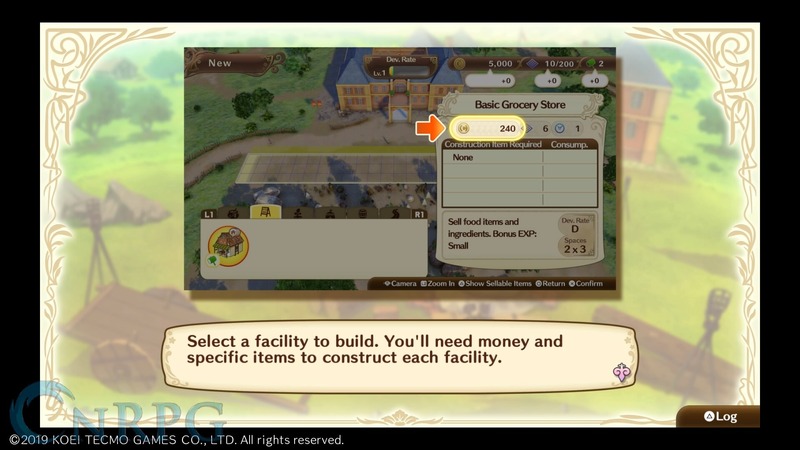 Townsperson requests can also come in, which when completed give you a boost to your money. 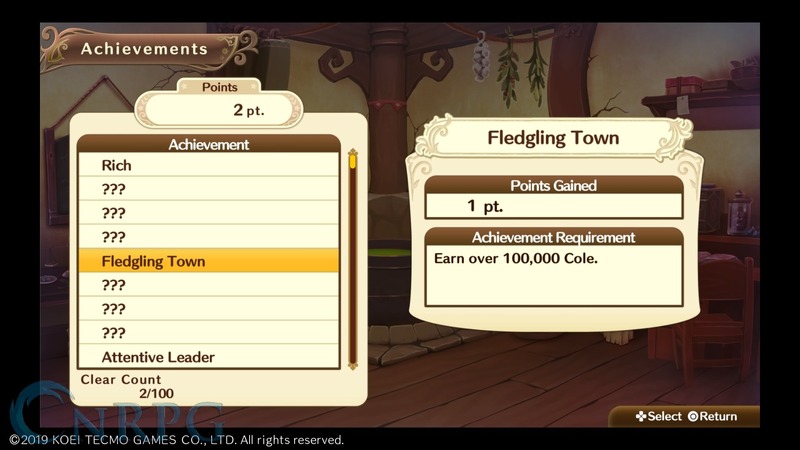 These requests, however, can also come from the capital, and provide both a huge amount of money (the first one you receive provides almost 10,000 cole) and a huge boost to population (70, again, from the first one). 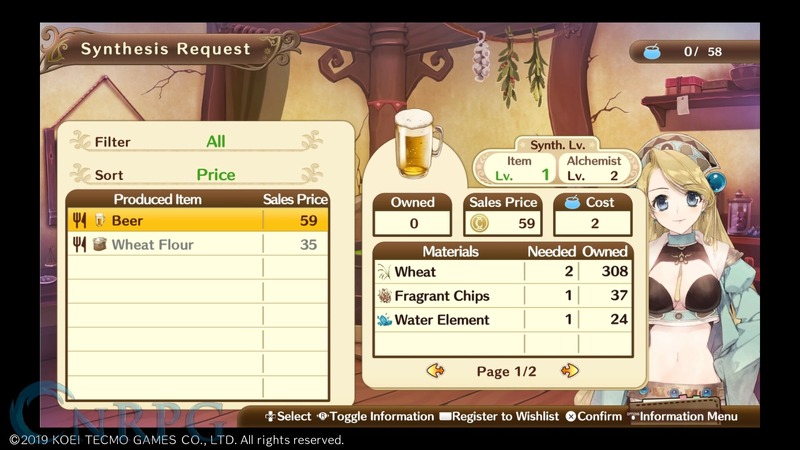 It’s likely recommended you try and resolve every major request you can. 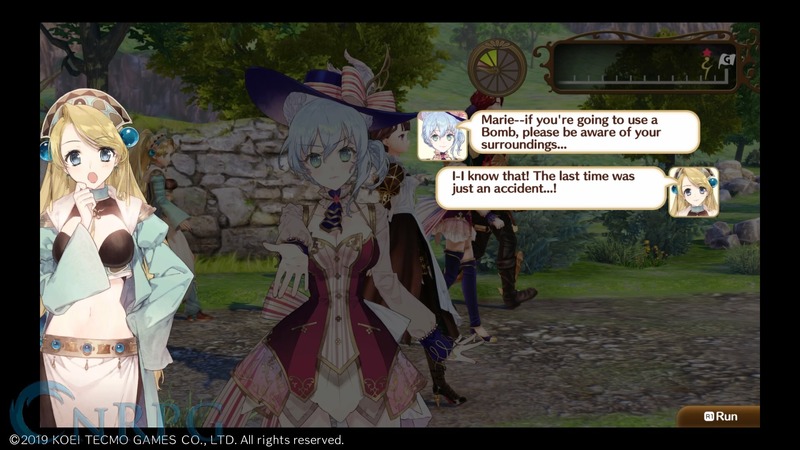 So everyone is aware: Yes, this also means there’s a time limit associated with the game. 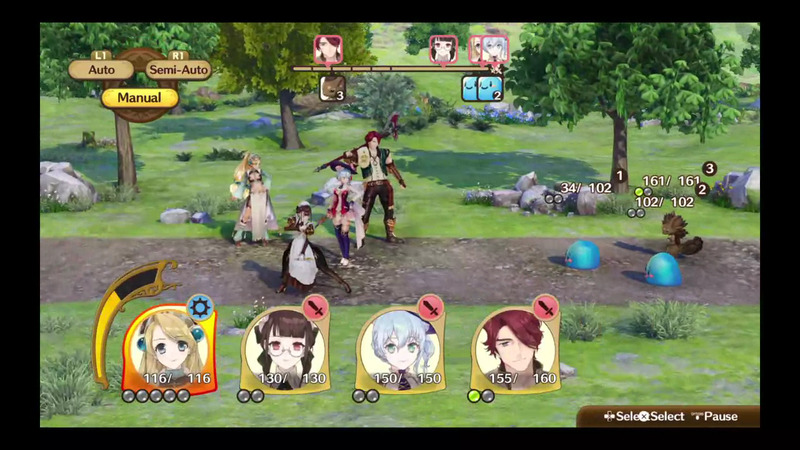 You have up to 100 turns to complete every single main story task, or else it’s game over. 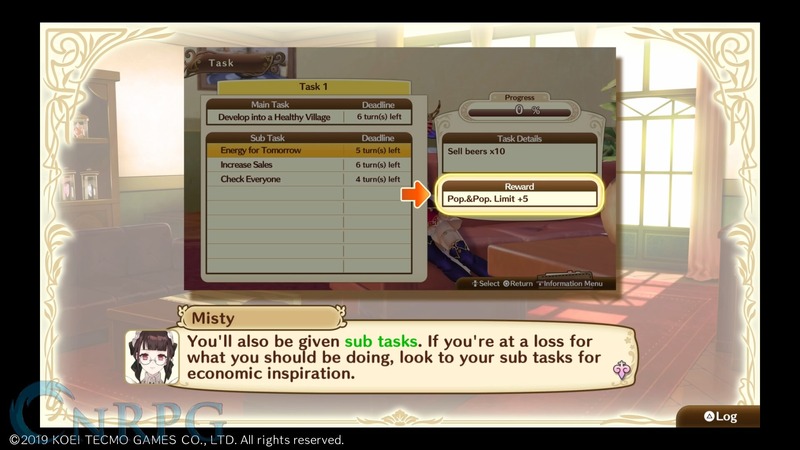 Thankfully, as the game progresses, things become more and more automated, and it seems tasks will be that much easier to complete. 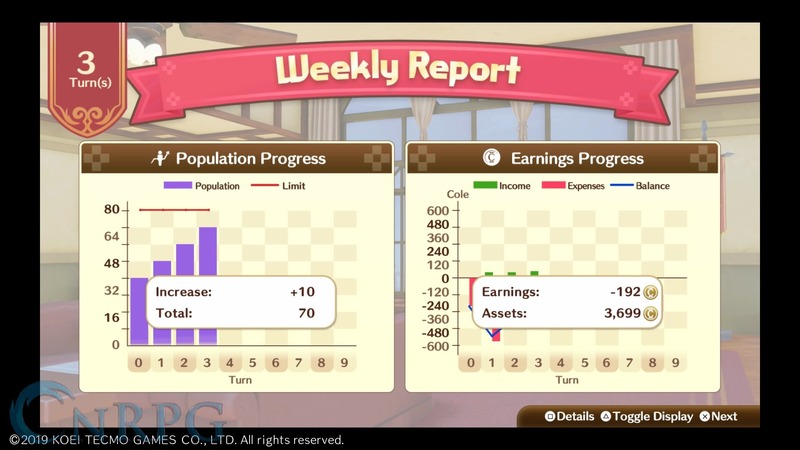 You can also continue playing after this turn limit should you succeed, but if you fail, you can start anew with bonuses to the next game. 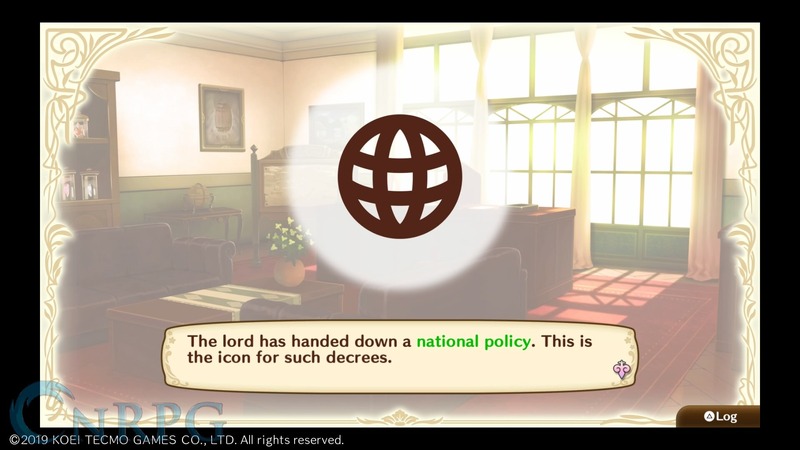 This should easily help overcome, and it gives you a leg up because you’ll know what to expect the second time. 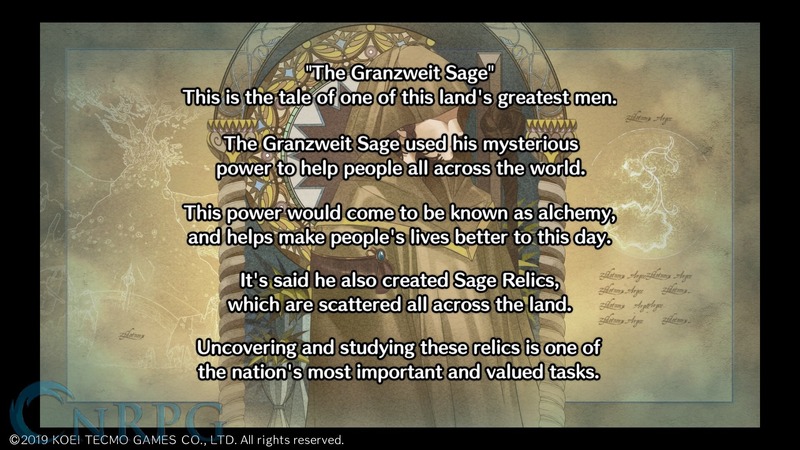 That said, the game is perfectly capable of being completed your first time through. 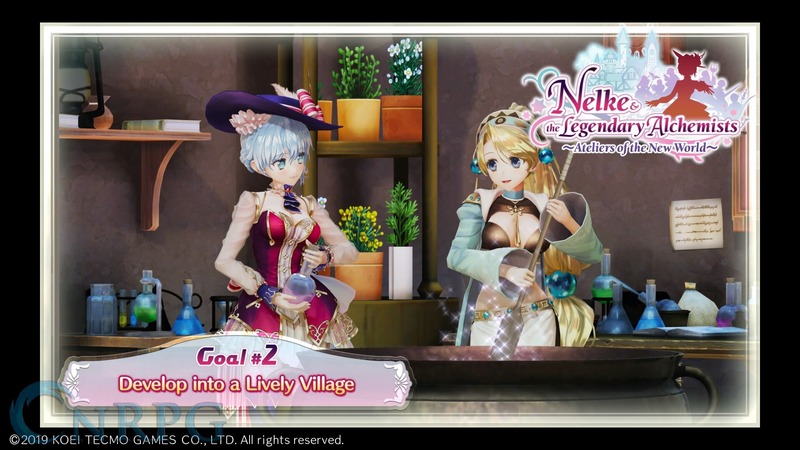 Despite my criticisms about the exploration, the battle system, and the stores, I still found Nelke and the Legendary Alchemists an enjoyable play. 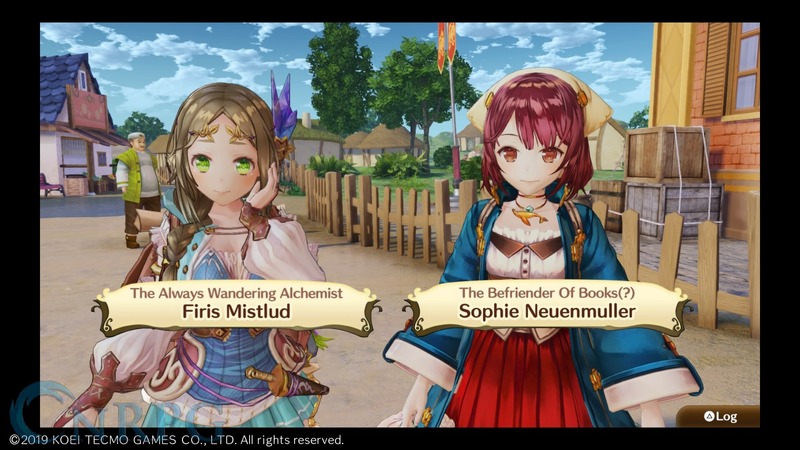 The characters were charming, and the interactions between alchemists as they mentioned characters from across the series were adorable. 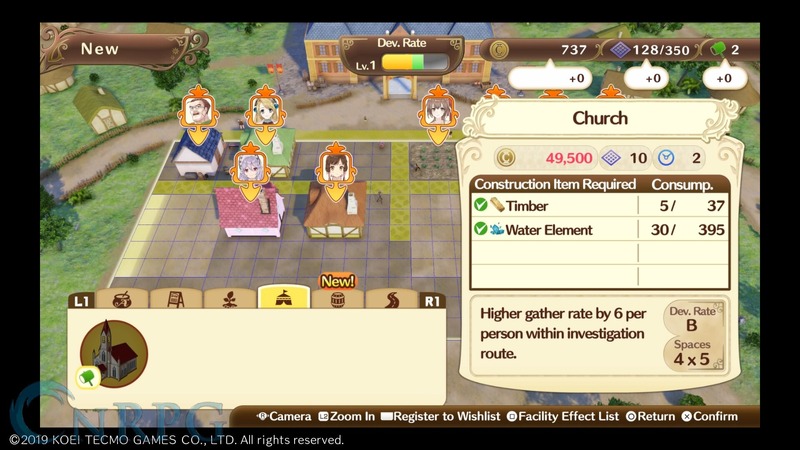 City building was a lot of fun, and it’s also easy to adjust and expand upon as you gain access to new facilities, as everything can be moved around with almost perfect impunity. 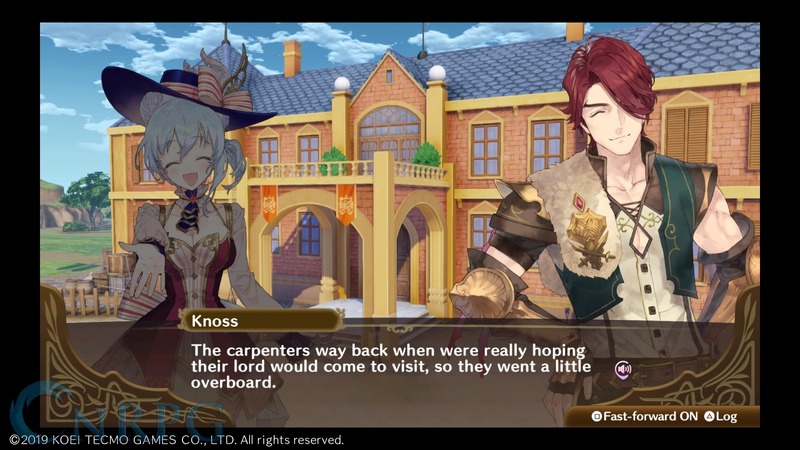 There’s some obliviousness in some of the characters I found myself joking about, but it was also endearing to each character, so rather than being annoying, it was fun. 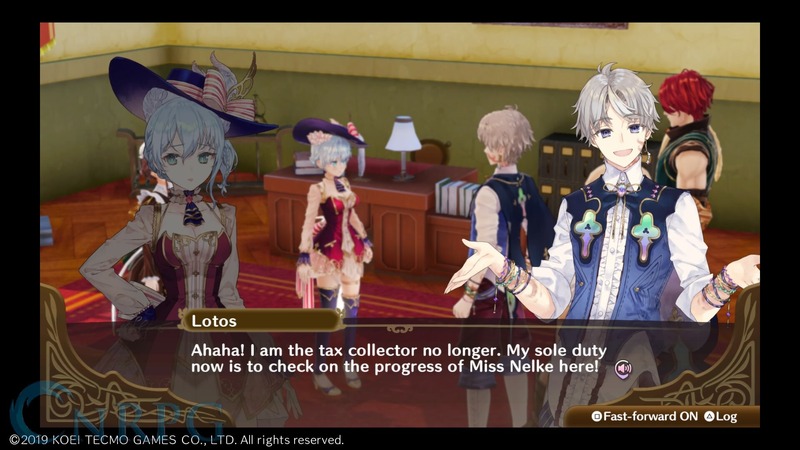 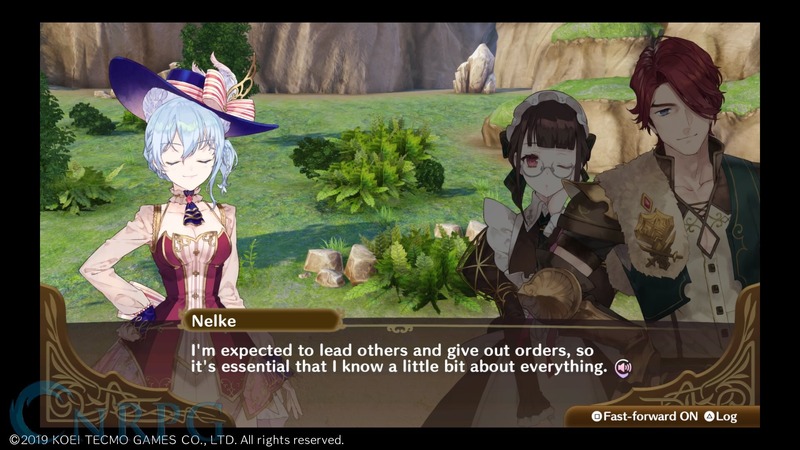 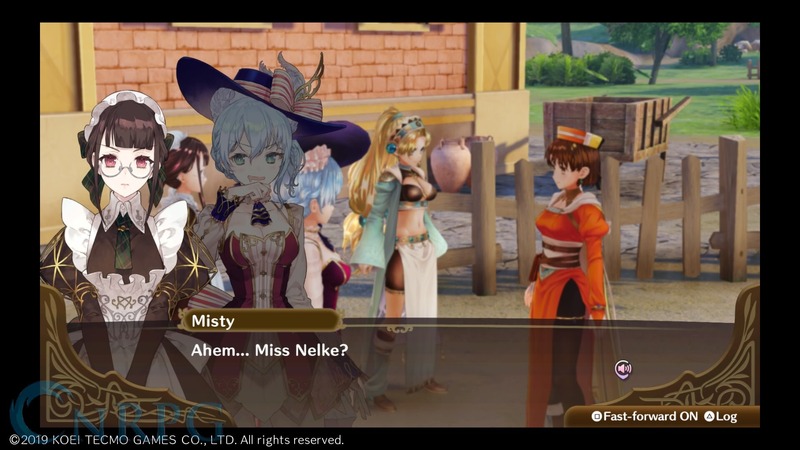 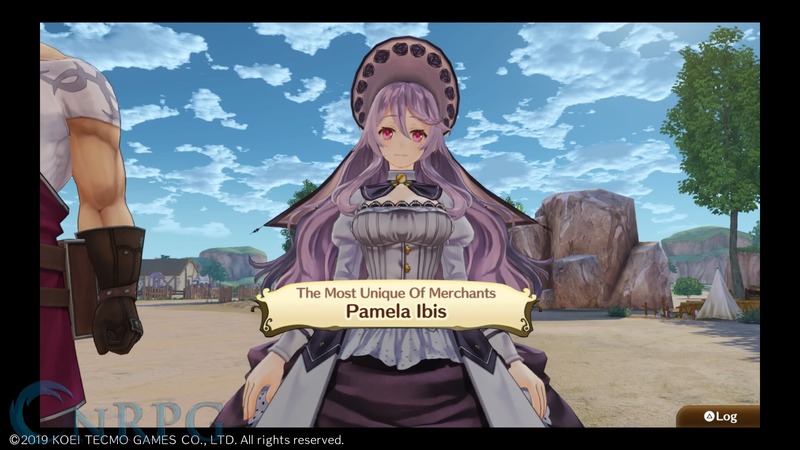 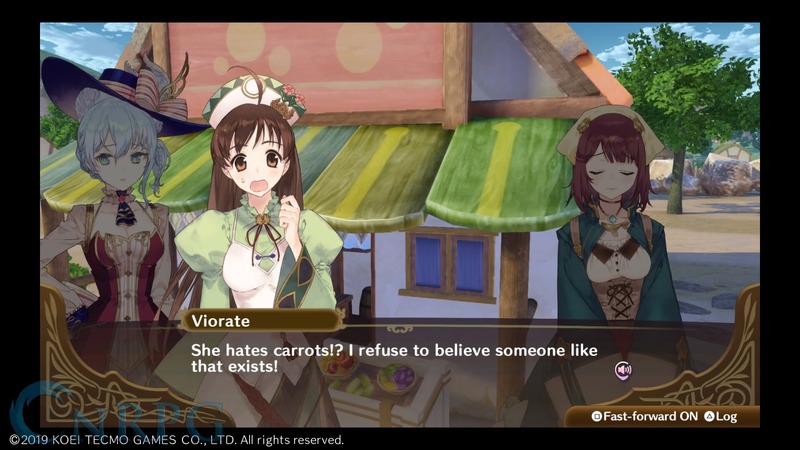 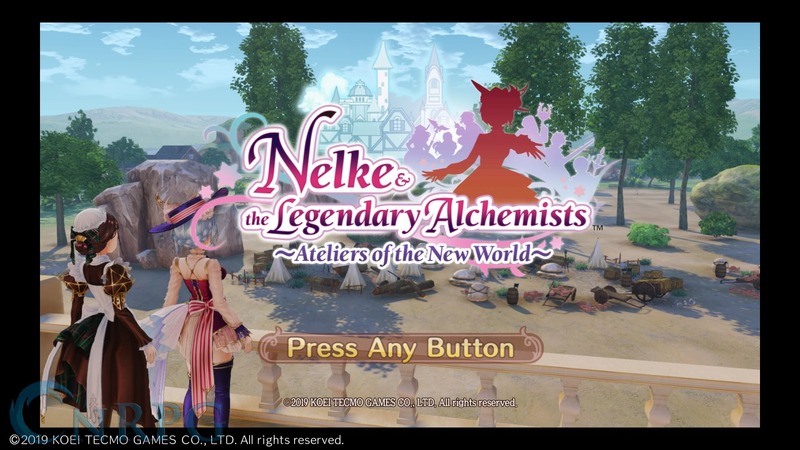 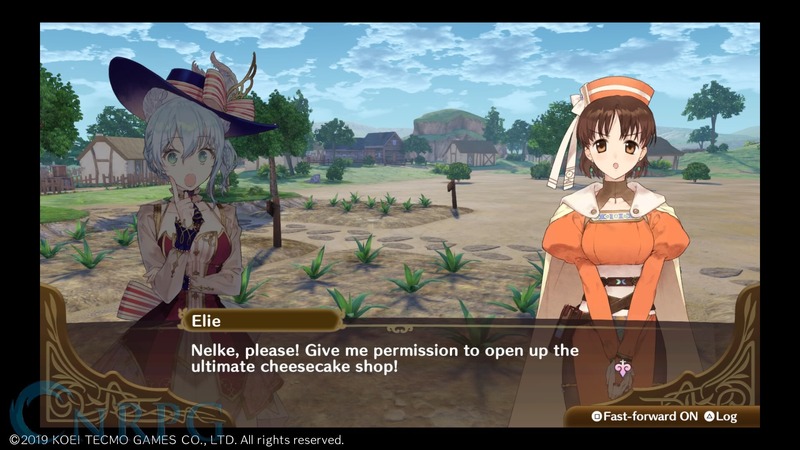 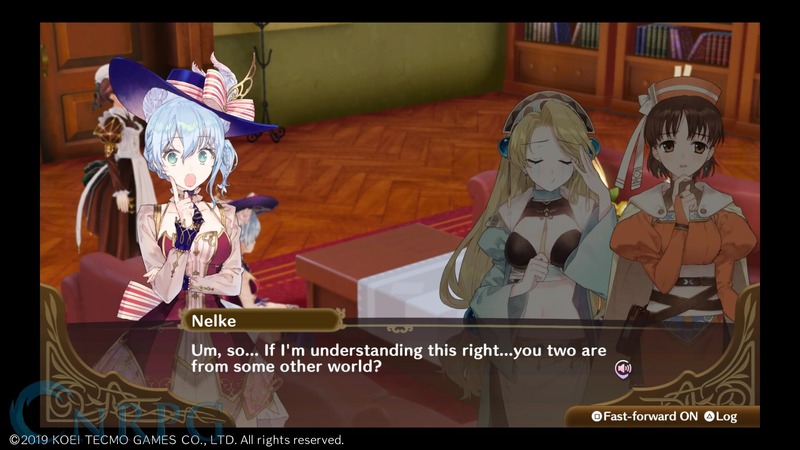 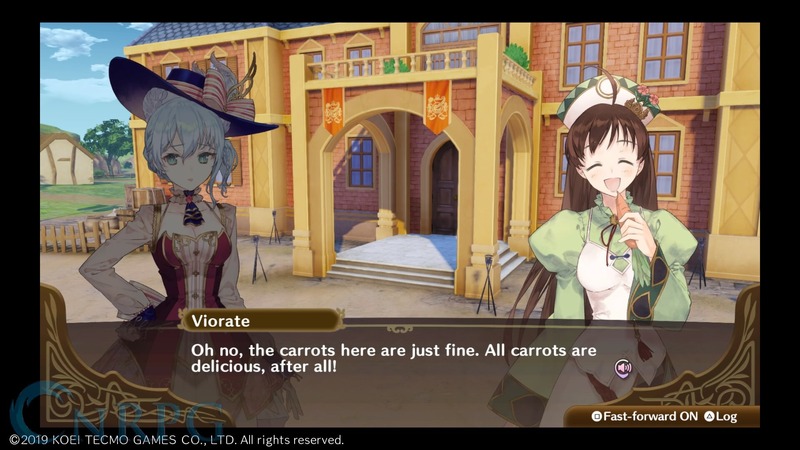 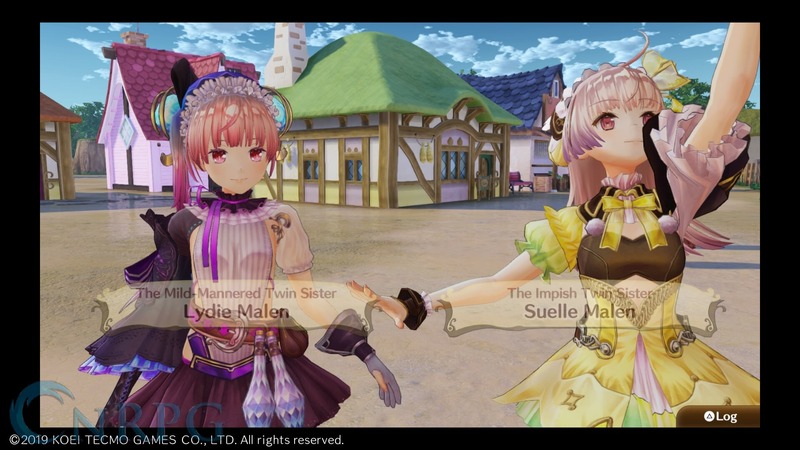 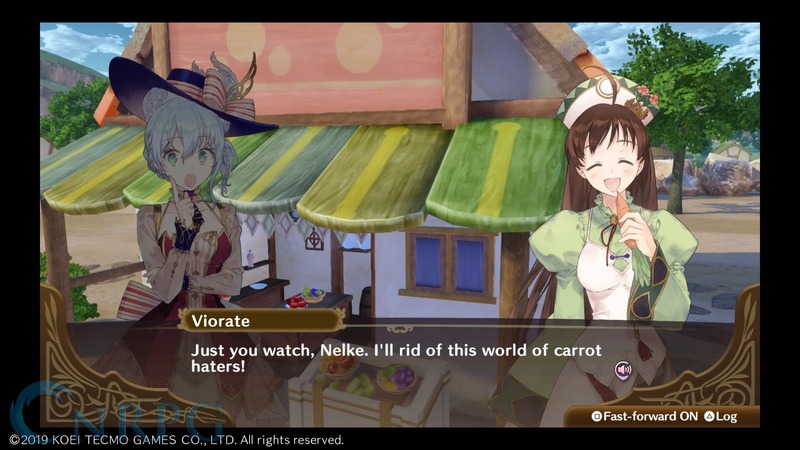 Overall, fans of the Atelier series will probably find a lot to like about Nelke and the Legendary Alchemists, especially the part where all of their favorite characters from the past 20 years come together. 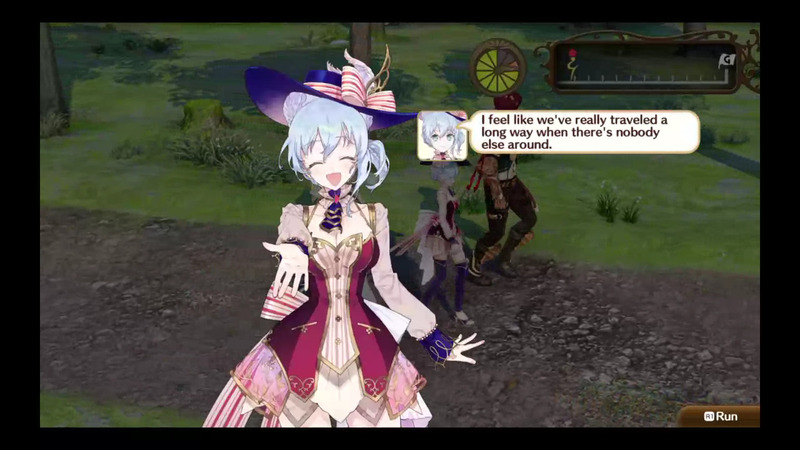 JRPG fans in general might also find plenty to like here, too.